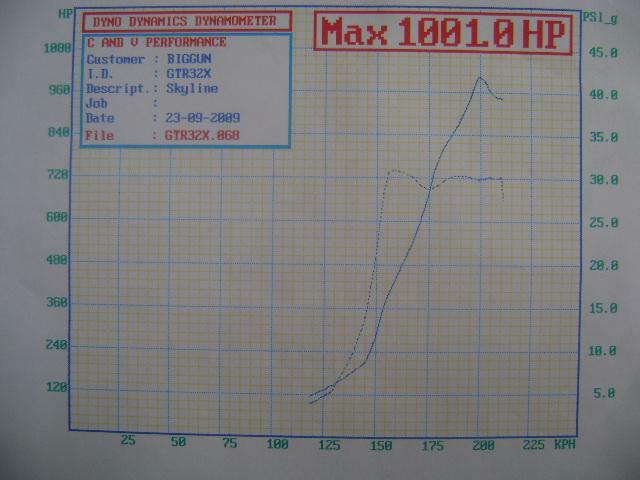 CV Performance just managed to run a 8.47 @ 168 mph pass in their Nissan Skyline GT-R. They claim the car to be the fastest and quickest street legal Nissan Skyline GT-R in the world. cv performance breaks another world record with paul in his skyline gtr r32.. it is the fastest street registered skyline on the planet and now we have beaten our own record. This is the same car that was running the Nissan transmission the last time I posted about it. Back in early 2010, the car had run 8.9@159 mph. The transmission is said to be a powerglide, 2 speed automatic. Street car, streetable, its all debatable. I wouldn't consider a 2 speed Powerglide to be much of a street trans, but there are plenty of cars that run them. Check out the video.